I love snowman-everything and have quite the collection of those little blue and white ones. My daughter has been getting excited everytime she sees one so I thought it would be the perfect time to make a snowman craft with her. 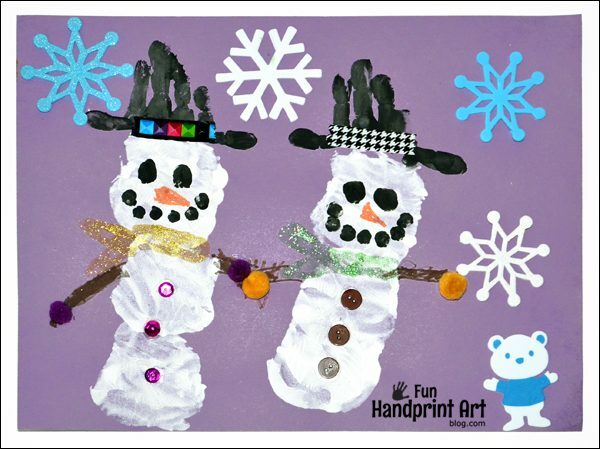 We decided on a Handprint Snowman since she is always asking to paint her hands. Paint just the palm with white paint. Make a brint along the bottom of the paper. Paint the palm again, this time making a print on top of that. Repeat making another snowman next to it. Paint the palm white and the fingers with black paint omitting the thumb. 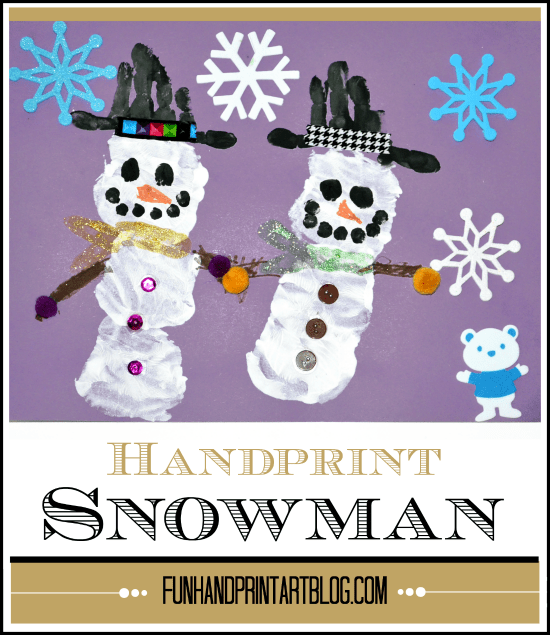 Make a handprint on top of each snowman. 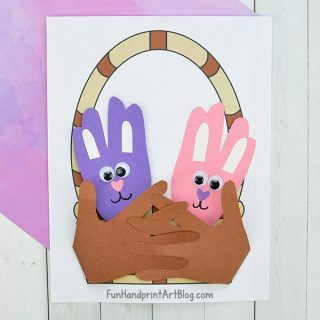 Paint the pointer finger with black and make prints on the sides of the print you just made. This will create the hat. When the white paint has finished drying, make the scarves by painting the pointer finger and making 3 prints for each scarf. We used glitter paint for ours! Make black thumbprint eyes and a fingerprint mouth on each. Draw on a carrot nose (or paint it on). Embellish that hat with decorative paint, glitter glue, etc. 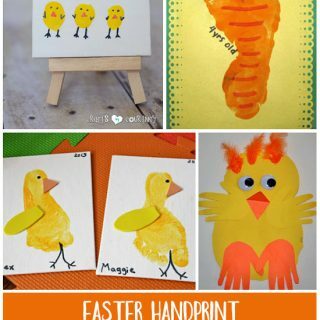 Have the child draw on the arms and glue pom pom mittens at the end. 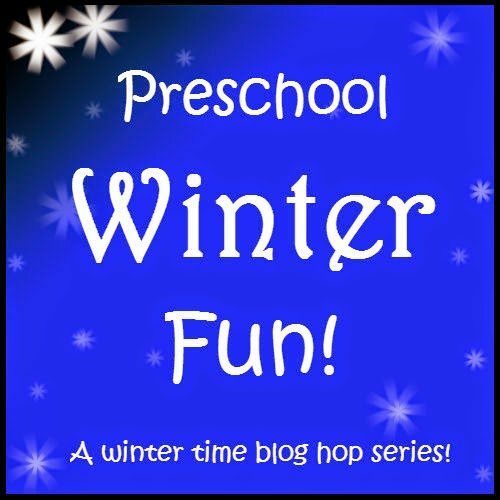 This post is part of a Winter Fun for Preschoolers series over on Preschool Powol Packets. 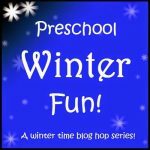 Stop by every day for a new winter craft/activity to do with the kids once the holidays are over. I love these, they’re so cute!